Do Your Investments Need Water to Grow? One of the most fundamental concepts of economics is Supply and Demand. Demand refers to how much quantity of a product or service is wanted from buyers and supply tells how much is available. We can often apply the law of supply and demand to investments to find the next lucrative opportunity. 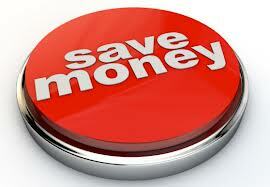 In general if there is low supply but high demand the price will rise. Conversely, heavy supply with weaker demand should lower prices. What happens if you had a resource in abundant supply but it was also scarce? Water actually fits this paradox of sorts. Most people have heard at one point or another that water covers about 71% of the earth’s surface. 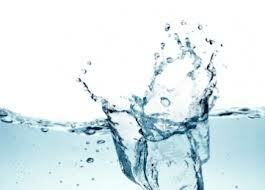 Even the human body’s composition is somewhere in the range of 60% to 70% water. Again, although water is abundant it’s also scarce. Over 97% of the earth’s water is seawater and of the remaining 3% that is fresh water, only 1% is available for human use. Saltwater can’t be used for drinking, crop irrigation, or for most industrial applications. Not only is there a global shortage of water but also the demand for it is estimated to double every 20 years! Here we are in the middle of Earnings Season listening to the various talking heads on TV attempt to decipher the plethora of numbers that companies announce. As they spew out seemingly meaningless information how is the average investor expected to make sense of it all? With terms like “diluted earnings, future guidance, write downs, cash infusions and GAAP financial measures” it can certainly be a bit overwhelming! Ultimately investors simply want to know if a company was profitable or lost money for the previous quarter and what expectations are going forward. Why does Wall Street have to make these quarterly reports so confusing and talk over the average persons head? We will attempt to cut through the ‘financial jargon’ and focus on the core numbers and what investors really need to look at each earnings season. “Creative Finance” is a term that comes to mind as you read through some of the reports that are released by corporate America. Maybe a more accurate phrase would be “you can put lipstick on a pig…but it’s still a pig!” There is certainly a lot of window dressing that takes place each earnings season but the key is to focus on what is truly important and not get lost in the data. We are only a little over half way through this year yet you have already taken investors on a very interesting ride. From posting impressive results through the first half of the year and then allowing volatility to enter the market through various headlines and worldwide economic news you’ve certainly kept us all on our toes. As investors look at their portfolios and their performance results we have seen one alarming statistic over the last month and half. 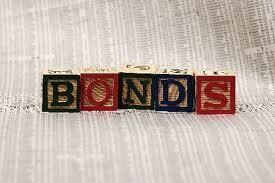 In June alone individual investors took over $80 billion dollars out of their bond positions! Investors moved out of their fixed income positions quickly due to rising interest rates and to chase the impressive returns that the equity markets have been posting. Bonds are often treated as the ugly stepchild of investing but we find that they are typically not truly understood by the majority of investors. Lets take a moment to get a better understanding on the basics of fixed income investing and more importantly how and why they have a place in your portfolio. (2) Set up your “buckets”– Regardless of the stage of life you are in it’s smart to have different accounts (or buckets as we call them) assigned for specific goals and needs. Initially everyone needs to at least start with their “emergency bucket” where at least three months living expenses is tucked away. Get a few other goal buckets lined up as well. If you’re working you’re likely to have a retirement bucket (401k, 403b etc). If you’re self-employed or own a business set up a SEP IRA or a Simple IRA. (there are plenty of choices here but you get the idea) Do you have a “vacation bucket” or an “automobile bucket” ? Get them established and then start filling them up! Why do I own this Annuity and how do I get out of it? We can’t tell you how many times we have heard investors say something along the lines of, “I have this annuity that I was talked into years ago, I don’t really understand it and I haven’t heard from the guy I bought it from since”. Annuities are one of the most misunderstood and possibly abused financial products in the financial services industry today. 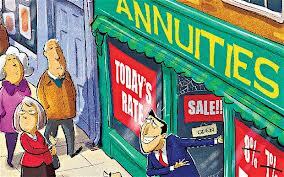 They are layered in promises that are far too often not delivered to the individual that purchased the annuity. While they look simple in nature they are actually quite complex and it is vital that investors conduct their own due diligence and research before purchasing any annuity product.